Have you checked out Housing & Residential Education’s housing options for upper-class students lately? Housing & Residential Education has a variety of apartment options available for sophomores, juniors, seniors and even grad students. 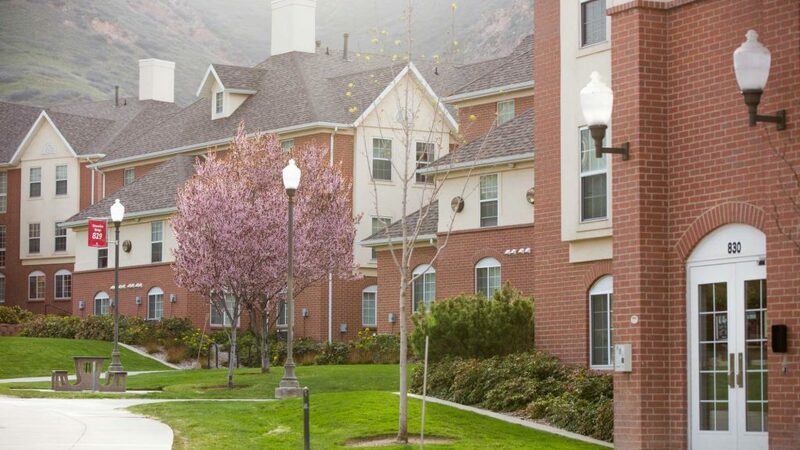 Better yet, these apartment buildings can be found on campus, nearby and in downtown Salt Lake City. The housing application for the 2019-20 year opened Saturday, Feb. 9. Living with Housing & Residential Education provides the convenience and community aspects of university housing, with the added independence of apartment life. Apply online through the “Housing” tile in your CIS account. If you currently live on campus or have lived on campus in the past, there is no application fee required. Check out the housing options to learn more about where your home away from home could be next year. If you are a newly admitted first-year student, click here for more information on the housing options you are eligible for. 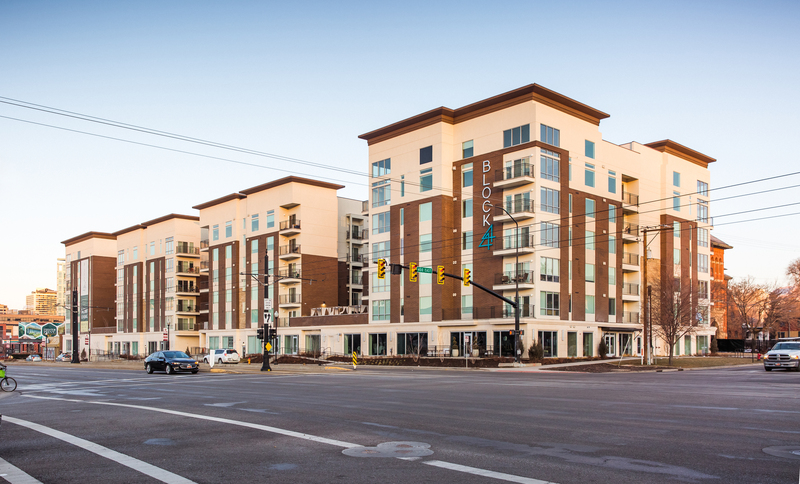 Block 44 is located near downtown Salt Lake City and sits near a TRAX stop for easy access to campus and the surrounding area. The building has studios, one- and two-bedroom apartments with private and shared bedrooms available. Amenities of Block 44 include in-unit laundry, basic cable and internet. The building also includes a fitness center, pool, community lounges and a Pilates room for residents to use. Check out photos of apartment options and building amenities here. Block 44 is located at 380 S. 400 East. 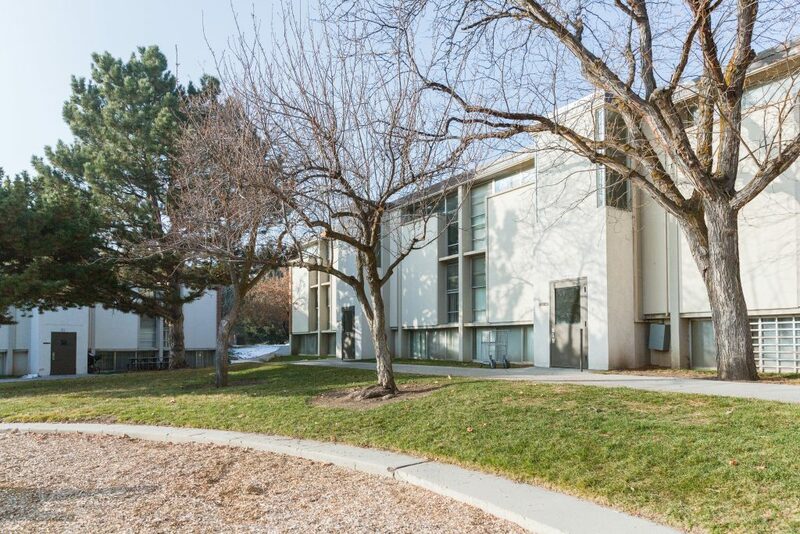 Cedar Court 700 is located off of Sunnyside Avenue and is accessible to campus by a campus shuttle. Cedar Court includes one-, two- and three-bedroom apartments each with private bedrooms. Residents in the apartments will share a full-sized kitchen, living room and bathroom. Amenities of Cedar Court 700 include laundry rooms in each building, internet, barbecue areas and community space. View more photos of Cedar Court 700 here. 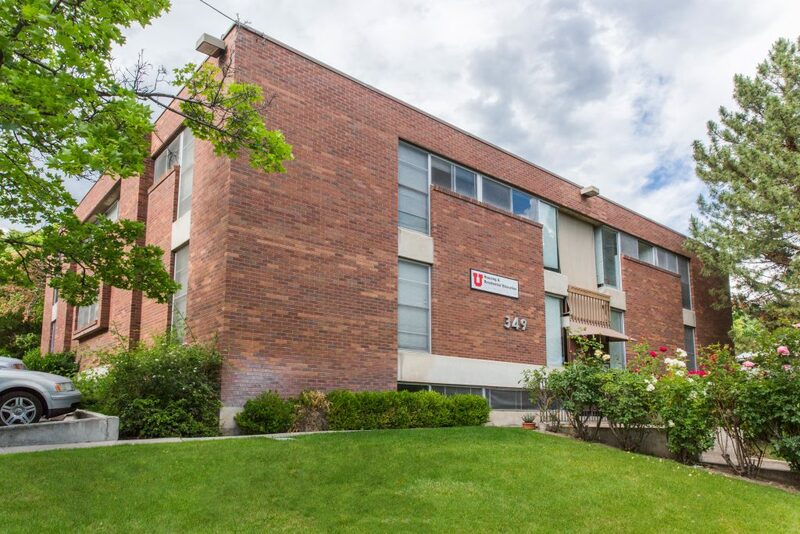 Cedar Court 700 is located at 1945 Sunnyside Avenue. The Downtown Commons buildings are located in the historic and vibrant avenues of downtown Salt Lake City. The main campus is accessible from each of these buildings via campus shuttle and UTA bus routes. These buildings include one- and two-bedroom apartments with private and shared bedroom options. Amenities of Downtown Commons include laundry facilities in each building, internet and a community room. Click to view more photos of Downtown Commons 1 and Downtown Commons 2. DTC 1 is located at 349 E. and 1st Avenue. DTC 2 is located at 43 S. and 400 East. Shoreline Ridge is located on upper-campus within the Heritage Commons area. 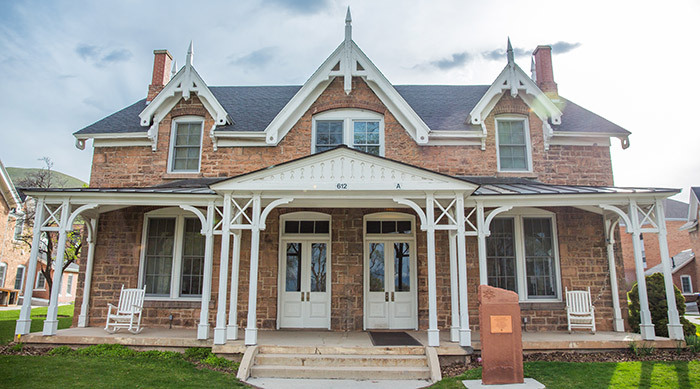 These buildings have quick access to the Peterson Heritage Center, Red Butte Gardens, and lower campus. Shoreline Ridge offers two-, three- and four-bedroom apartments. Each apartment includes private bedrooms, full-sized kitchens and shared living room areas. Amenities of Shoreline Ridge include on-site laundry rooms, internet, cable and an outdoor barbecue area. Click here to check out 3-D floor plans of Shoreline Ridge apartment options. There are a variety of living learning community and themed community options for upper-class students. Live with other students who share your interests in Officers Circle, Marriott Honors Community and Lassonde Studios. Each of these communities has unique deadlines and application processes, visit the Living Learning Community page on our website to learn more.